Peterborough Town Cricket Club start pre-season nets at Thomas Deacon Academy tomorrow (February 10, 10-11.30am). Prospective new members are more than welcome to attend. 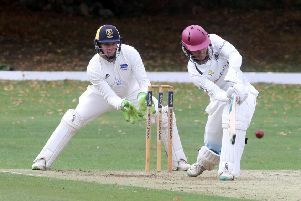 Town are the leading club in the area with Saturday teams in the Northants Premier Division, Northants Division Two and Hunts Division Three, and Sunday teams in Rutland Division One and Rutland Division Five. Net sessions cost £5 per person.